Please note that we are posting the most current transcriptions as we get them finished. We do have a huge backlog so they will no longer be in sequential order as we previously were doing. 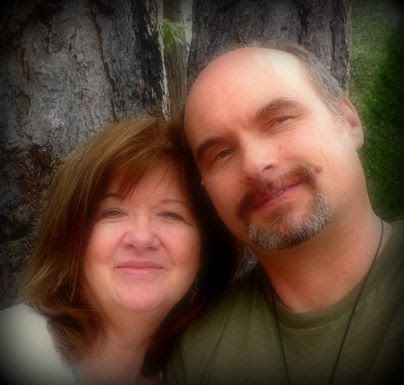 Thank you, Mel and Mike, Walking Terra Christa.com. I Am Lord Melchizedek and it is my Divine pleasure to be this spoke-being for this evening. I believe that what Divine Mother and Father God has given us is an essence of their communication with each other. This is something that has never been shared to anyone else within this vibrancy. It is my pleasure as the over-lighting energy this evening to share with you exactly what it does mean for each of you at this time. Patience is the virtue that we see in each of you that is growing deeply as it is also continuing from the ability to accept the Divinity of your existence. As I represent many Light Workers of the Melchizedek Priesthood, I stand here in this moment as a very proud father in what you are achieving upon this Earth. I share through Meleriessee who has walked with me in her consciousness for many, many years that she has brought many to my doorways or they become aware of their existence in my world. It is not that they were not part of my world but on a conscious level just as each of you represent that priesthood you could not be here today if you did not accept that fact. What does this mean for each of you to allow yourself to stand in the Presence of God’s Will, God’s Power, God’s Love, and God’s Wisdom? It means that your totality as a human being is non-existent without the Three Fold Flame; it means in order to have Will, in order to have any of these aspects you must have God’s Will first within your Heart and with everything that you aspire to be. It takes great challenges to get to this point in time. And I am happy to stand here with each of you and to look at my students of many souls upon souls that truly are here to bring forth the acceptance of their own Will, of their ability to make a pathway that will change other peoples lives by doing it themselves first. I commend you, I commend you for being here in this moment. I commend you for being upon this Earth. I commend you for holding the Light as deeply as you can, but I deeply commend you even more for the challenges and there will be more. What we truly want to bring forth in these moments is to accept as much of the Three-Fold Flame that your body can handle. So how do you know how much you can handle? It is not your decision; it is from your Higher Self. So I ask each of you right now to call upon your Higher Self and to allow Him/Hher to be fully activated within you by taking a deep breath as the waves of Light that are filtering in through the Temple is representive of what each of you will feel during the Equinox. It is a time of complete balance of the Masculine and Feminine Divine allowing the God Essence of the Christ that you are to be enfolding within you Each of you have been working diligently on your own issues to allow the enfolding of your Masculine and Feminine . What this does is give you a point of awareness of your thought and your feelings so that they can be molded into the integration of the Three Fold Flame. I ask each of you in this moment to fully feel the Masculine energies blending with the Feminine energies within your existence. The Masculine essence resides on the right side of your body with the Feminine on your left side. The Masculine will bring in the Will. What is your Will in this moment of God’s Will? What is it that you see within yourself that needs to be created to create a lifestyle that does represent the Three-Fold Flame or just to accept it as it is unfolding within you. Feel your Masculine self activating the energy. Imagine feeling a spiraling Blue Light fully activated within the right side of your body centering within your Heart Center. At this point, the Heart Center is the Solar Plexus and the Thymus chakras so it represents one flame. Feel that Blue flame being fully activated within you. Breath in deeply and allow this essence to share within your Lower Self as it blends together. Now feel this essence moving into the essence of the left side of your body as the Feminine fully accepts the Creation of the will and allowing the Feminine Divine of Divine Mother be activated. We are now being attuned from Mother/Father God of what they have given us in the previous moments. It represents his Will and her Love of now fully coming entering within you. Now feel her accepting this as the Pink flame which ignites on the left side of the body. It moves towards the right side blending with the Masculine Divine. Feel the flames coming together with the Pink and the Blue. As we look within the Temple, the same is happening in the Circle of Light as the Pink and Blue fold within the stage and entire circumference of the room. It is igniting with the activation of the Feminine and Masculine ~ allow her essence to just surrender and accept. Breathe in deeply; feel your lower self as your Higher self, feel your super conscious the sub conscious feel that essence as the communication will come from your Heart not your head allow the integration, the activation, the actualizations of the Christ that you are to be fully be embodied. Let us all just take a deep breath and just infuse this flame within us during this meditation you will probably feel the extreme conditioning of this acceptance after the meditation it may slip away a little bit but it will come back and you can tap into it again. We ask that the Three-Fold Flame to be fully embodied within every person that is listening at this time or any other time. Feel the acceptance of your Higher Self and your I AM Presence of your Soul family being fully ignited fully within your essence, within your being of Light as it becomes One. 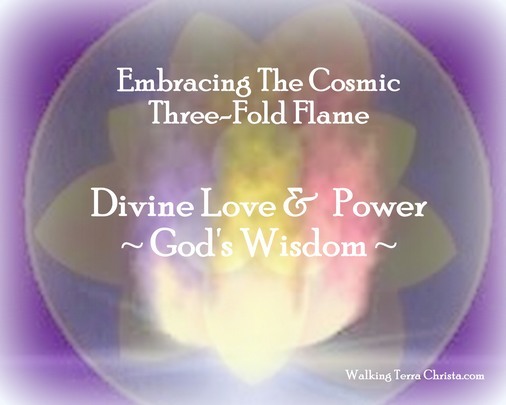 Allow the Three-Fold Flame to go to any areas by extending the it within your physical body, feel it going into the structure, allow it to ignite the spinal column, igniting the essence that everything is fluid and moving with no constrictions anywhere ~ allowing the Cosmic Three Fold Flame to be you. I ask you now to take any thoughts that you have been having into the Three Fold Flame and feel them being ignited. I ask you to take any emotions into the Three Fold Flame. Allow them to be ignited to only receive the highest available integration that you can handle. Now call upon ~ ask ~ talk to your Higher Self and ask Him/Her what is the percentage that you can handle through this process of the Equinox. Let us take a deep breath while you receive. Now allow that percentage to go into any areas that are weaker than what you are feeling in this moment. Because as you see, as an initiate of this pathway of the Melchizedek Priesthood of being a Christ Conscious Being of Light allowing your Christed Self to be your God, your body needs to receive. It is just not your mind, not just your emotions. As the Masculine and Feminine Divine hold within that Heart area, it will assist you in allowing the higher vibration element that is coming to you from your Higher Self and I AM Presence to go to all areas that are necessary. It is the same process with Gaia as the Three-Fold Flame becomes more fully activated within the planet. It will assist her to allow her ascension process to continue. Let us take a moment and fell this Three-Fold Flame to be embodied within Gaia in this moment. Each of you now do the same. Let us take a deep breath and feel all these beautiful Three-Fold Flames as we all gather together in this beautiful Temple of Oneness, communing with the Unified Whole, the ones that have already done the Three-Fold Flame. Allow these essences to be in Oneness as we are all parts the Three-Fold Flame of Gaia coming together. I AM Lord Melchizedek. I reach out my arms to each of you ~ I reach my Three Fold Flame into each of you for you to acknowledge the Three Fold Flame within you through this process. Just receive it, just feel the essence coming within you, and allow it to go anywhere it needs to be. Say I need it to go now to my joints, or I need it to go into my internal organs, or I need it go into my Mental Mind. Just receive your Higher Self as it is designating where it needs to be right now as we are speaking one last, one last minute. That all that you have to do. It is my Divine Pleasure as Lord Melchizedek to be here with each of you right now. I feel the difference within the Temple ~ I feel the difference in each of your energies as we receive together. It is my blessing to see each of you enfold within this essence upon this Earth and to share all that you are. So Mote It Be ~ In The Light Of The Christ ~ In The Oneness That We Are.